How Do You Solve a Word Problem with an Equation Using Addition? 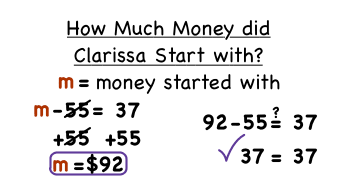 Word problems are a great way to see math in action! See how to translate a word problem into an equation, solve to find the answer, and check your found answer all in this tutorial. How Do You Solve an Equation Using Addition?